Picture/word matching worksheet for the very little students. 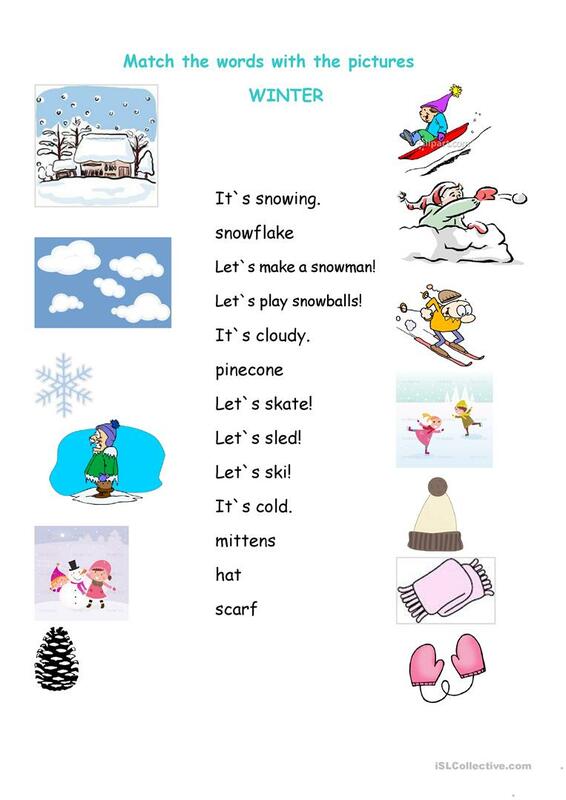 Good for winter lessons :) It`s in a word document format, so you can write your own winter words or expressions! This downloadable worksheet is recommended for elementary school students and kindergartners and nursery school students at Beginner (pre-A1) and Elementary (A1) level. It is useful for enhancing your groups' Speaking and Reading skills. It features the vocabulary topic of Winter. mnatalim is from/lives in Japan and has been a member of iSLCollective since 2012-01-29 05:55:16. mnatalim last logged in on 2013-02-24 04:38:06, and has shared 1 resources on iSLCollective so far.